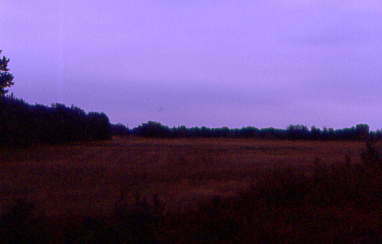 The wakeup call came at 6:00 AM and after a shower I visited the casino. I used two dollars of nickels and won over ten dollars in less than ten minutes. 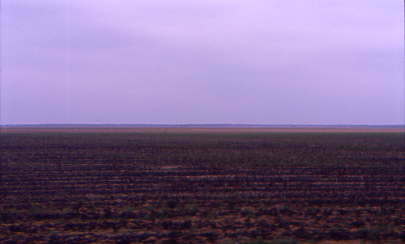 I then got my Northwest Airlines Boarding Pass before I had a free continental breakfast. 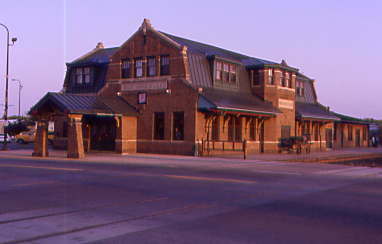 I checked out then waited for the shuttle bus back to the train. 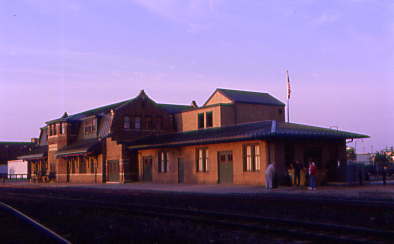 We pulled up to the Soo Line Station in Thief River Falls and I had a few pictures to take this morning. 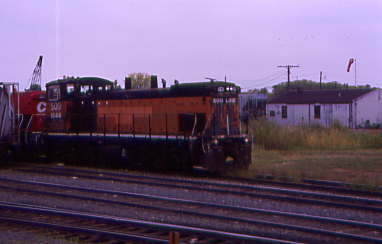 I started with the Soo Line 2-8-2 1024, ex Monon Railroad. 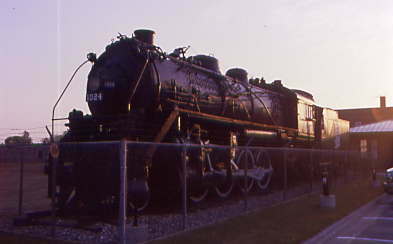 This is the last Monon Railroad steam locomotive in existence. 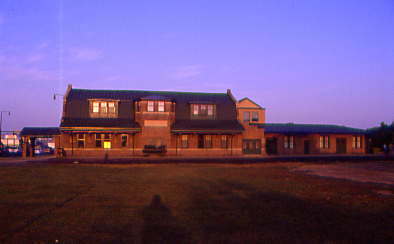 The Soo Line Thief River Falls Station. 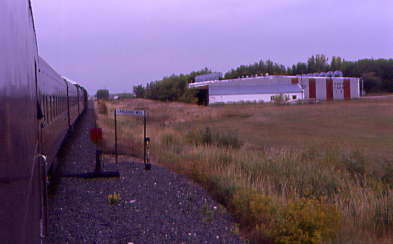 I then walked down to wait for the Canadian Pacific 2816 to back into the Thief River Falls station. 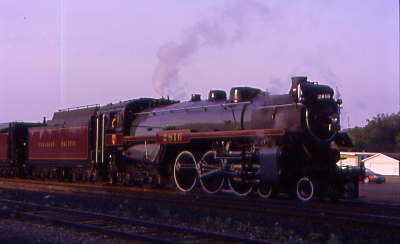 The Canadian Pacific 2816 backing into the station for loading. 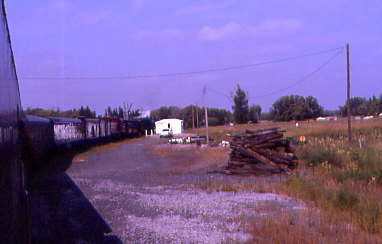 I walked around the end of the train for a picture. 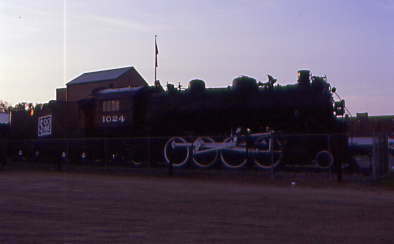 The Canadian Pacific 4-6-4 2816 at Thief River Falls. 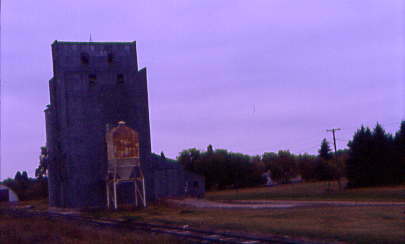 I boarded the train and read the USA Today until it was time to depart Thief River Falls at 9:00 AM. 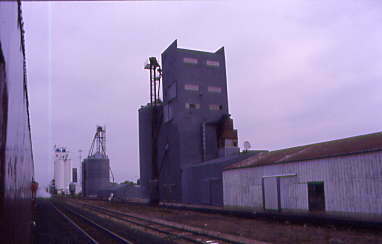 We ran beneath grain elevators at Thief River Falls. 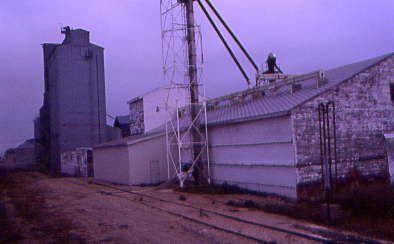 There was a locomotive at this grain elevator. 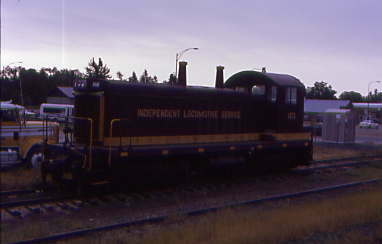 An Independent Locomotive Service 1373 engine was here at Thief River Falls. 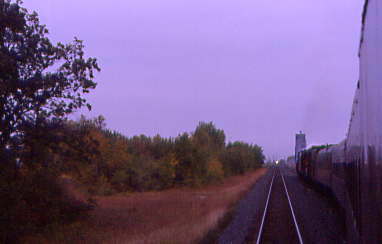 As we entered the CP Rail Thief River Falls Yard we passed CP 8766 and Soo Line 2057. 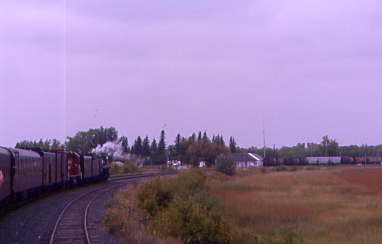 LSX 1003 Heron Lake and CP 5824. 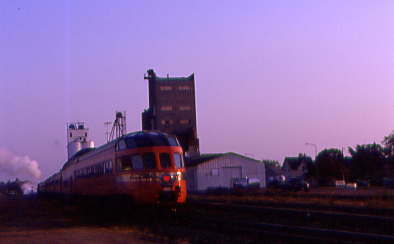 The CP 8790 West at the north end of the Thief River Falls yard. 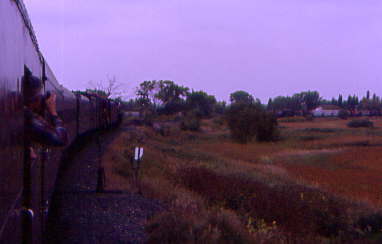 The train headed out of Thief River Falls into the Minnesota countryside. 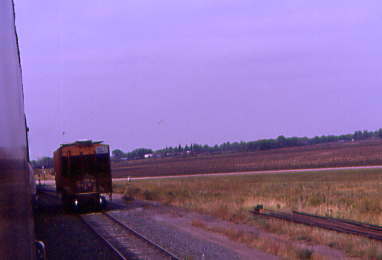 Our train crossed the BNSF line at Dakota Jct. 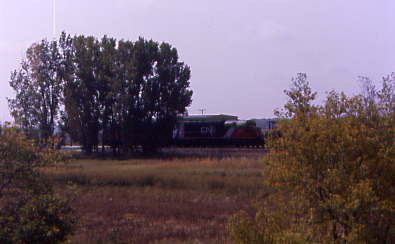 The Canadian Pacific 2816 rolled northwest through Newfloden, Strandquist and on towards Karlstad passing through northern forest where farms are not located. 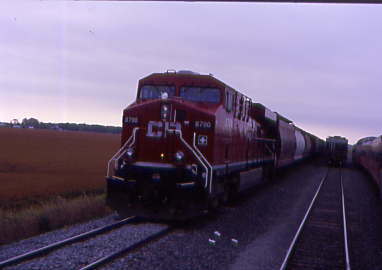 The Canadian Pacific 2816 took the siding at Karlstad for an eastbound CP Rail freight. 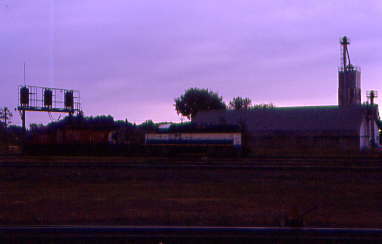 The train met CP 6043 at Karlstad. 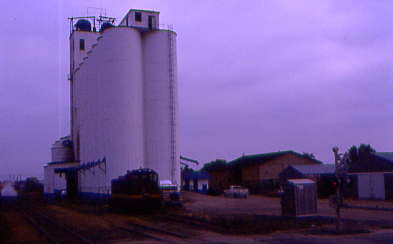 The train ran beneath the grain elevators at Karlstad. 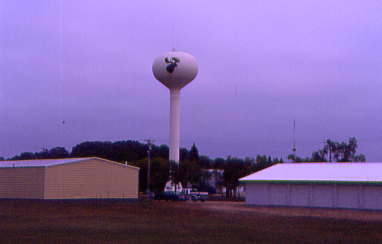 There is a Moose on the water tower on it as Karlstad is the "Moose Capitol of the North". 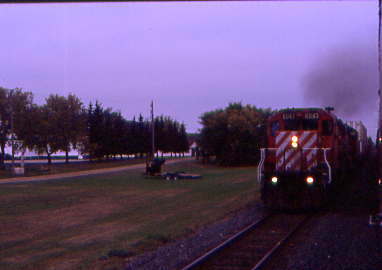 The Canadian Pacific 2816 returned to the mainline as we continued our trip towards Noyes. 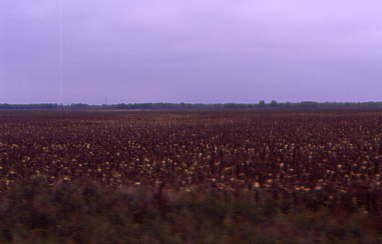 We ran by the drooping sunflower plants on this overcast morning. 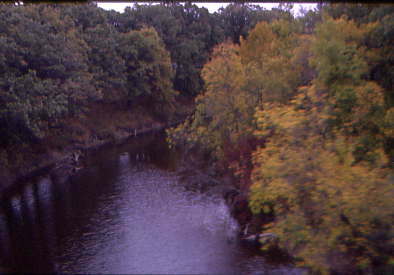 The train crossed the South Branch Two River. 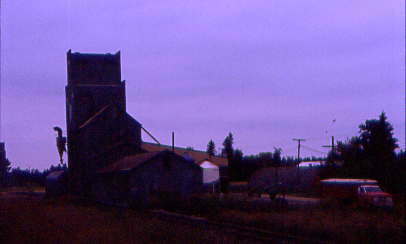 Our train ran by the grain elevators at Lake Bronson. 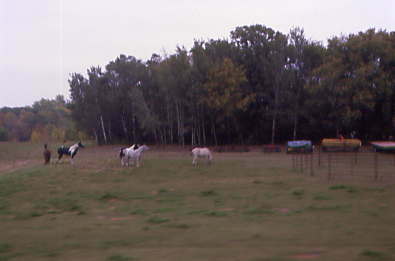 There were horses out in this field. 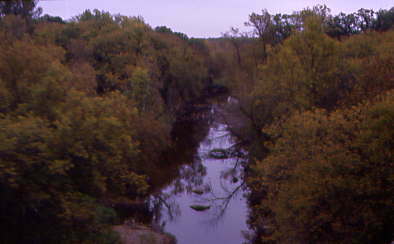 The train crossed the Middle Fork of the Two River. 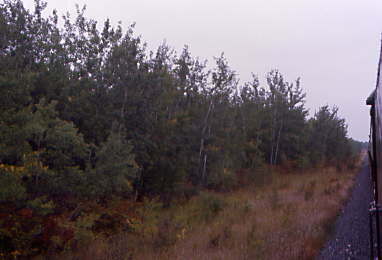 Our train went by a field with a line of trees. 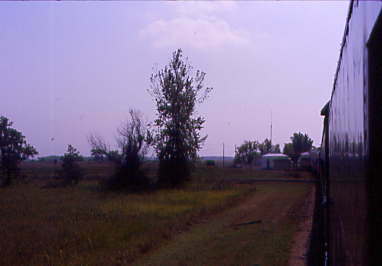 We came to large field as we approached Noyes where we came to a stop behind a freight train waiting to clear customs to enter Canada at 11:15 AM. 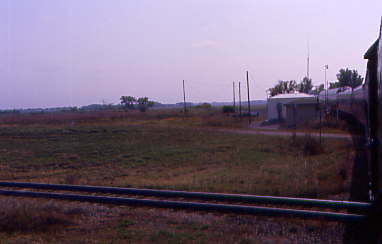 We would be here until he pulls into Canada. 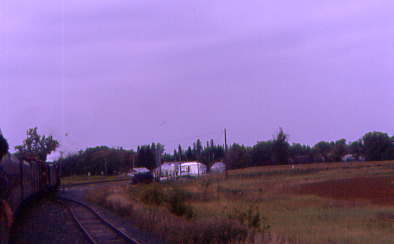 There was a CP Rail freight train waiting to enter Canada. 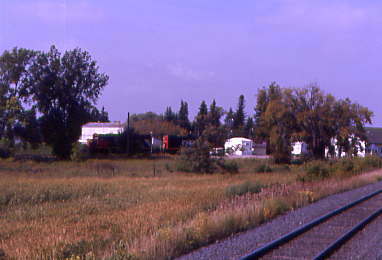 An eastbound CP train waiting a crew at Noyes. 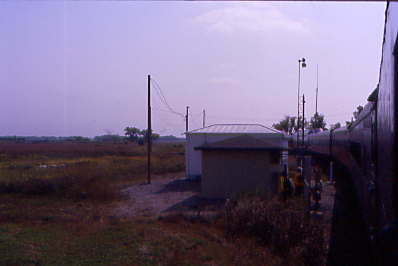 I enjoyed a pair of Hot Dogs as we waited. 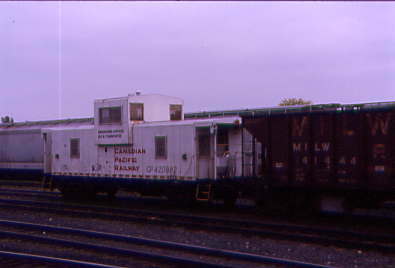 About an hour later, the CP freight headed into Canada and we followed it up to the Custom House at the USA/Canada border. 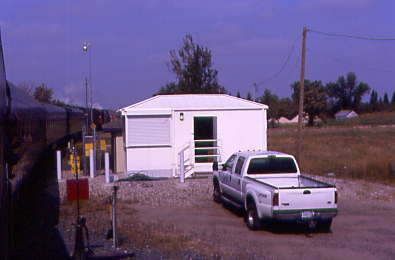 Our train crew headed to the Custom Building to find out how Canadian Customs were going to work train once we got across the border. 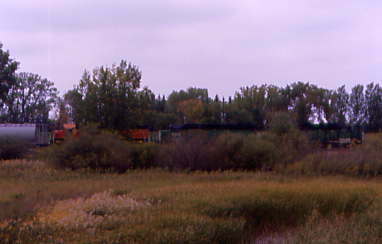 A BNSF freight waiting for a Canadian National train to arrive so they can swap trains. 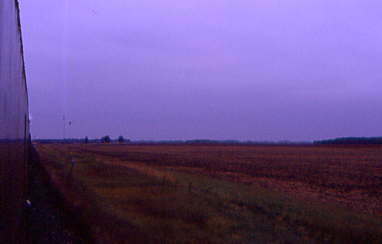 A view looking north into Canada. 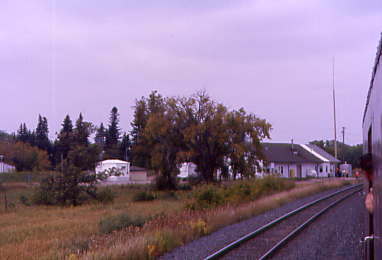 The train ran by the Custom House. 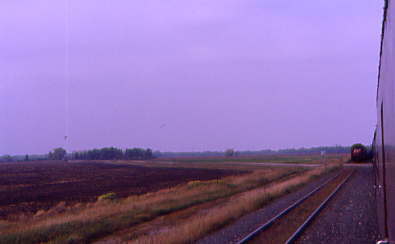 The CN Train arrived in Noyes from Emerson, Manitoba to swap trains with the BNSF. 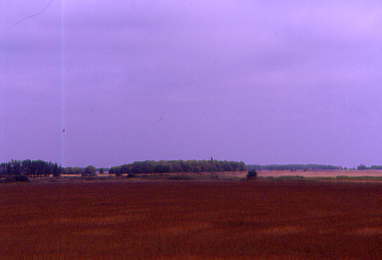 A few minutes later we started moving forward. 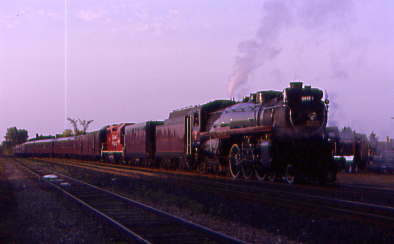 The Canadian Pacific 2816 was entering Canada. 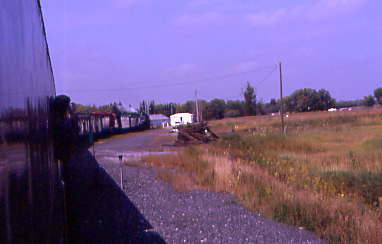 The front part of our train crossing into Canada. 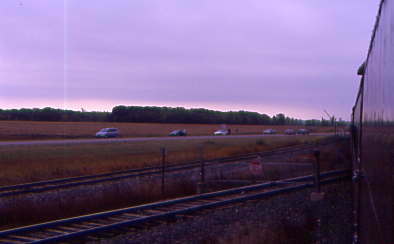 I had arrived into Canada. 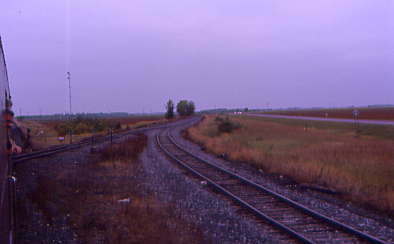 We crossed a CN line that runs just north of the USA Border. 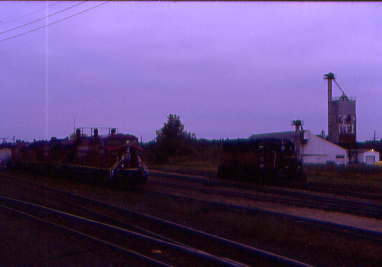 The Cedar Rapids has arrived into Canada and we pulled down to a stop in the Emerson Yard to do Canadian Customs. 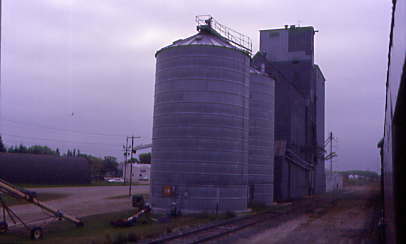 Click here for Part 2 of this story!